Street Art, Street Life examines the street as subject matter, venue and source of inspiration for contemporary artists and photographers from the late 1950s to the present. 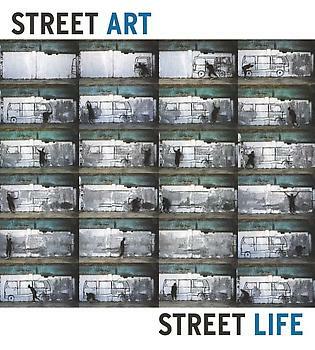 This unique volume includes street photography; documentation of performance, events and artworks presented in the street; works using material from the street; and examples of street culture. Through works by more than 30 world-renowned artists, including Vito Acconci, Amy Arbus, Sophie Calle, Robert Frank, Lee Friedlander, William Klein, Robin Rhode, Martha Rosler, Jamal Shabazz and Garry Winogrand, Street Art, Street Life explores a range of themes related to the street--as arena for political and cultural expression, violence and crime, gender roles in an urban context, advertising and commerce and as counterpoint to museums and other traditional art venues. This volume is published on the occasion of an exhibition of the same name organized by Lydia Yee, Curator at the Barbican Art Gallery in London and Senior Curator at the Bronx Museum of the Arts in New York. Yee contributes an essay, along with Frazer Ward and Katherine Bussard.